The Ligue 1 champions were stunned as Ole Gunnar Solskjaer's injury-hit side defied the odds to dump them out of the UEFA Champions League in midweek. 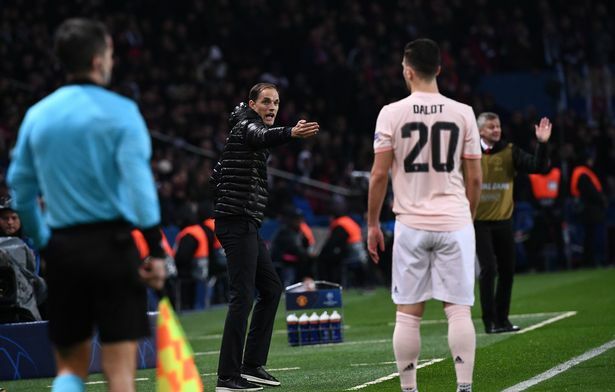 Yet Tuchel has blasted United's tactics in Wednedsay's dramatic win and downplayed their historic achievement. After the second goal, we controlled the match, we played with a lot of quality. We react well to the first goal we gave them. We had a lot of chances but we did not score the second, or the third. Aside from that, with not even a chance, with not even anything they get a second goal. The second goal turned the match completely in our heads. In the second half, they didn't have a single chance. I have the same feeling now as I did after our defeat to Guingamp in the Coupe de la Ligue, it was impossible to lose and we lost with three penalties. I never had the impression that Manchester United wanted to win here. We lost but we controlled the whole game. They won, congratulations to them, but I have no explanation as to how they won.